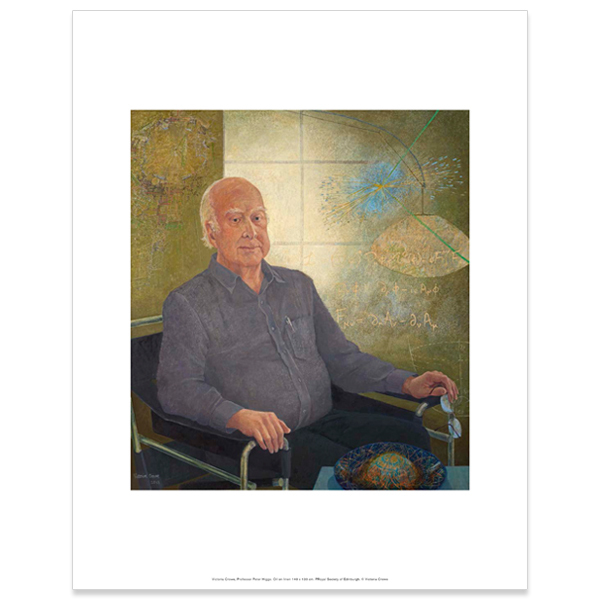 Art print of the portrait of Professor Peter Higgs CH FRS FRSE FInstP (born 29 May 1929) is a British theoretical physicist, emeritus professor in the University of Edinburgh, and Nobel Prize laureate for his work on the mass of subatomic particles. 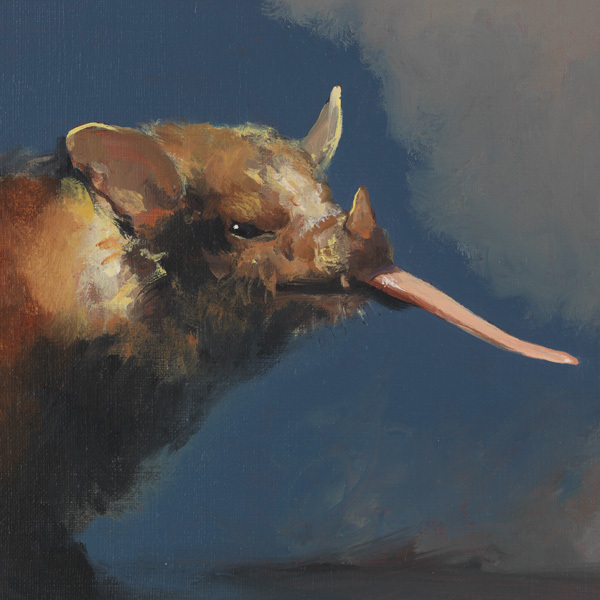 This portrait was presented to the Royal Society of Edinburgh in 2013. For the evening Victoria borrowed Professor Higgs T-shirt with his formulae written across the front. Some of the formulae can be seen in this portrait. T-Shirt depicting the Higgs boson theory hand drawn by Peter Higgs himself.